This Joma Jewellery bracelet is presented on a gift card that reads 'Tamaid o garreg fach sydd, yn disgleirio'n hyfryd drwy'r dydd'. What better way to sparkle than through your jewellery! 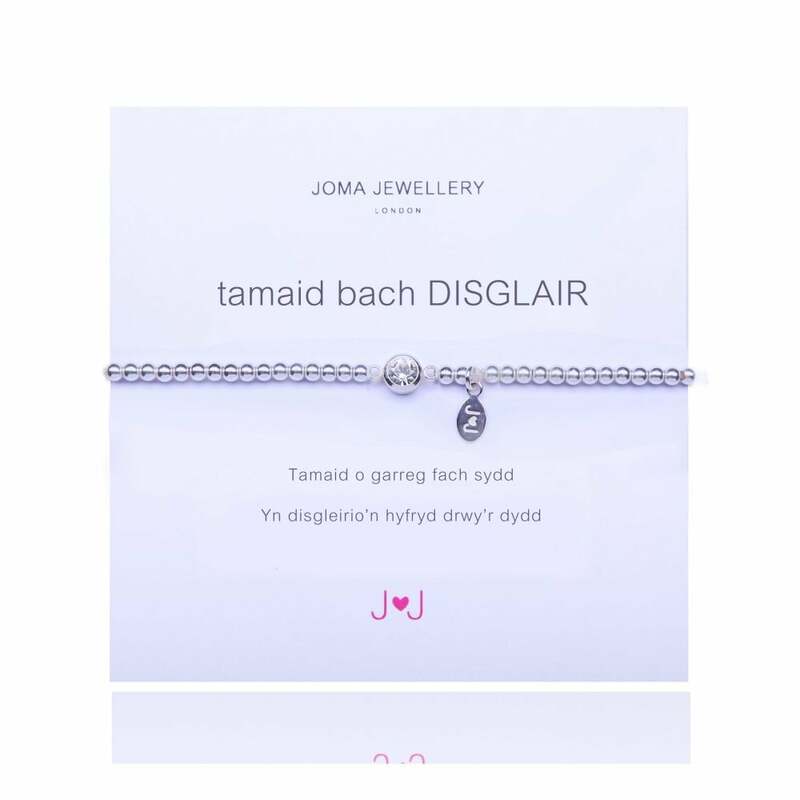 This Tamaid Bach Disglair (A Little Sparkle) bracelet from Joma Jewellery's Welsh collection is both heartfelt and gorgeous, reminding you to show your inner sparkle, all while wearing a gorgeous sparkling crystal bracelet!